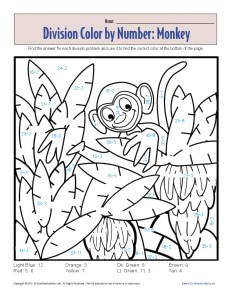 There's no monkeying around with division -- except in this worksheet! Your youngster must solve the division problems to find the correct color to use. It's a fun way to learn math.